What drives Riefqah Jappie, Executive MPA 2013, is creating opportunities through good trade policies. With US President Donald Trump threatening increased protectionism and isolationist tendencies cropping up in many parts of the developed world, it’s a challenging time to be promoting international trade. Riefqah Jappie moved to New York in February 2017 as the representative of the International Trade Centre to the United Nations. She had previously worked seven years in Geneva for the ITC, a joint agency of the UN and the World Trade Organization that helps small and medium-sized enterprises in developing countries improve their international competitiveness to generate exports, sustainable growth and jobs. 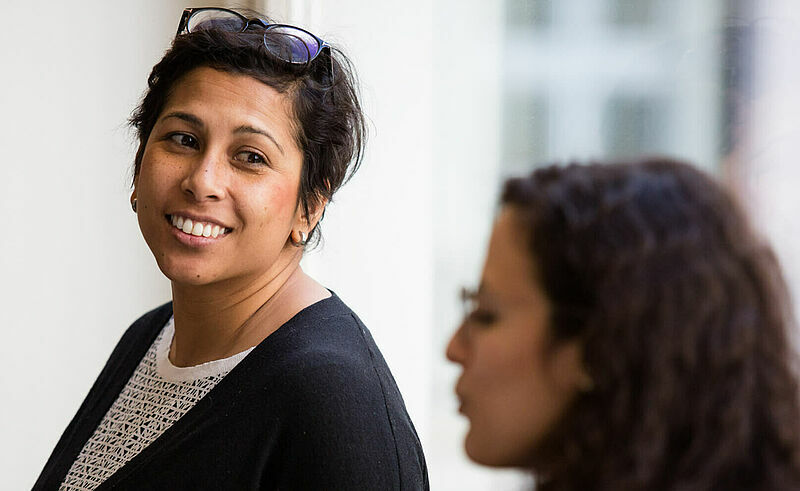 Riefqah completed her Executive Master of Public Administration (Executive MPA) at the Hertie School in 2013 – an experience she says helped give her a better analytical framework for her working life. Riefqah sees herself as a beneficiary of globalisation. She emigrated to Australia as a young child, speaks multiple languages and has worked in an international organization. Her family left South Africa when she was nine to escape apartheid and seek a better life for their children. Riefqah took bachelor’s courses in economics, international business and Spanish and Latin American studies at the University of New South Wales and volunteered in Nepal as a student, helping farmers to better market and trade their produce. She then returned to a post-apartheid South Africa for six years, working in local government as a trade economist before moving to Geneva to work for the ITC as a strategy advisor. Flying into Berlin once every month or two from Geneva, she was able to combine work and study in the Executive MPA programme over a period of three years, from 2011 to 2013. I’d stay for the period of my class, which was three days or so, and then I would do my assignments from home. It was a really handy model, especially for people who have to work or people with families,” she says. Much of the negative effects people attribute to globalization are due to other factors such as automation and technological progress, Riefqah says. “But whether their perception is 100 percent right or not is less important when we look at the impact it has had,” – such as the rise of populism, she says.